Be part of the green team and every step you take will make a difference to people affected by cancer. We look forward to cheering you on in Portsmouth. 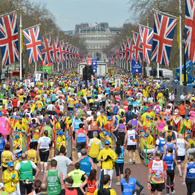 We would love to have you on the team for this year's Great South Run. There is a £25 registration fee and we ask that you pledge to raise a minimum sponsorship of £250 (excluding gift aid). 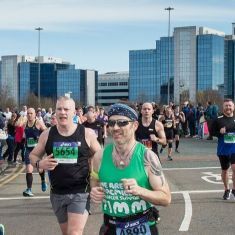 If you are successful in securing a place then we would love to have you running for Team Macmillan. Click the ‘I have my own place’ button to join the team. There’s no minimum sponsorship, just raise as much as you can! We want to use this amazing event to make a difference. We know cancer can affect everything; your body, your relationships, your money, everything. But we are here to help people live life, no matter what. We give them the support they need to hold on to who they are and what’s important. But we can’t do it without you. Join Team Macmillan for Great South Run and we will treat you like the superhero you are from the moment you sign up through to when you cross the finish line. Life with cancer is still a life. Join Team Macmillan and help people live it. You must be 16 or over on the day of the event in order to run. For more information or to speak to a member of the team, please emailing us at running@macmillan.org.uk or call 0300 1000 200. If you have any family and friends who’d like to come and support you on the day, we’d love them to join our volunteer team! To find out more details email katemartin@macmillan.org.uk. I have my own place Already secured your own place? Sign up with Team Macmillan and you will receive full support. Get a placeJoin the team today! 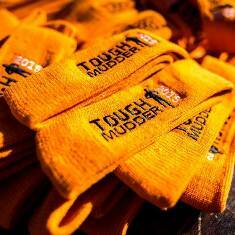 £25 registration fee and pledge to fundraise £250.